Fear and self-doubt are an intrinsic part of snowboarding. Everyone experiences those primal feelings when they’re riding, no matter how skilled they are. Your ability to master and rationalise fear will dictate how much you enjoy snowboarding and how quickly you are able to improve on the slopes. The mind and body are intricately connected. 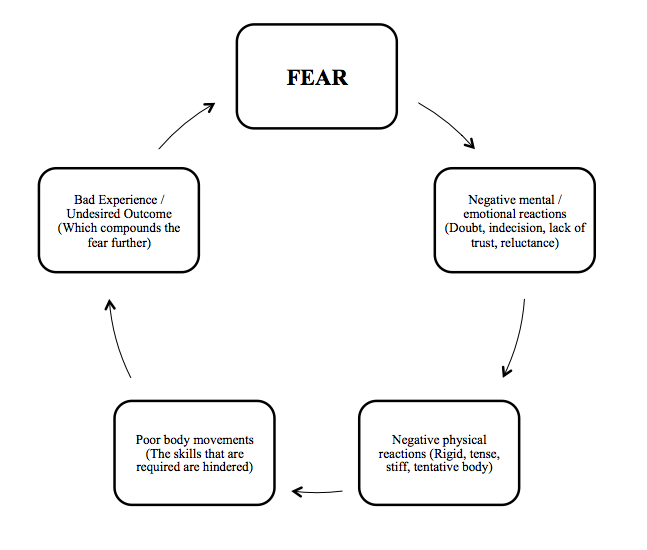 Fear can take control of your mind and thus also your body. Have you ever been up high or facing a dangerous situation and had your leg start uncontrollably shaking? If fear or self-doubt take over you become tense and stiff, your nerves and muscles don’t operate optimally, your coordination is inhibited, and the body will not function optimally. Sometimes when you are unable to accomplish what you are trying to do your thinking quickly becomes negative, which reinforces the original fear and creates a vicious circle. Understand and use your fears to push your comfort zone and reach your goals. You will be able to conquer terrain, as well as gain performance and speed on the board you never thought was possible. Most of the time the fear you feel is your mind uncontrollably spewing out imagined scenarios that are far from the truth or fact. You never eliminate your fears or self-doubt totally. You can learn to master them and your emotions so they don’t control you. That little voice in your head telling you to be afraid, that you’re not good enough, or that you don’t have what it takes, will always be there to some extent. If you talk to any elite athlete, they will admit that they have the same fears of failure and self-doubt that you do. They just know how to manage them and use the emotions to their advantage. They have put in place habits and built reliable techniques to rationalise and reduce the fear or self-doubt. If you have feelings of anxiety, nervousness or apprehension regarding a run or trying a specific trick, one of the best ways to calm your mind and rationalise fear is to visualise success. On the chairlift ride, close your eyes and in your mind visualise yourself performing the task at hand. Repetitively visualise yourself carrying out the task and successfully completing it in multiple ways. Imagine how successfully completing the task will make you feel. If you can visualise it in your mind, down to all the tiny details, and feel all the emotions associated with success, it will be much easier to perform the task in reality. Even visualising and imagining how things can go wrong, can help you prepare as well as reduce the stress and panic if things don’t go to plan. You will be able to react calmly and take the appropriate action necessary if you ever find yourself in an unfavourable situation. Stoics and samurais often use this negative visualisation technique to help them prepare, be alert at all times, and give feelings of control. Samurais would visualise all the ways they could be killed in battle. This way they would be ready and not have any fear if the time ever came because they had already rehearsed it in their mind. If you don’t feel in control and find yourself in a stressful situation, you literally won’t be able to think straight. When you are afraid your body goes into “fight or flight” mode. Your breathing then becomes shallow and sharp, increasing stress in the body. When your mind starts to race, it’s time to get centred and grounded. Close your eyes and take deep conscious breaths. If your mind starts to wonder just bring your attention back to your breathing. Make no judgements on your thinking and don’t try to “stop” thinking. Just be mindful of your breath and transfer all your awareness to the act of breathing in and out. Inhale through your nose and exhale through your mouth. Breathe with your diaphragm. As you breathe in your belly should rise, and as you breathe out your belly should fall. 5 – I am breathing in. 5 – I am breathing out. 4 – I am breathing in. 4 – I am breathing out. Continue like this until you reach zero. 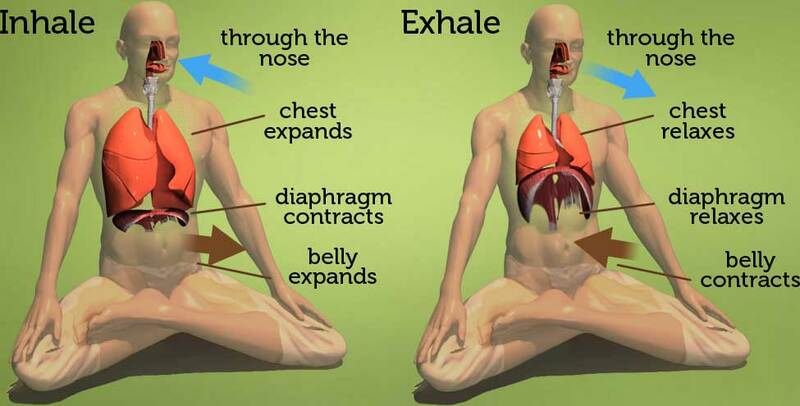 Another exercise you can try is to make your exhales longer than your inhales. So, when you inhale count backwards from 5. As you exhale count up to 6. Do this for 10 breaths. Afterwards, you will feel much calmer and be able to tackle your task with a fresh and grounded perspective. You need to reclaim control of your breathing to help calm your mind. boosts production of serotonin, which helps elevate your mood. fights off free radicals to improve cellular function and reduce stress. 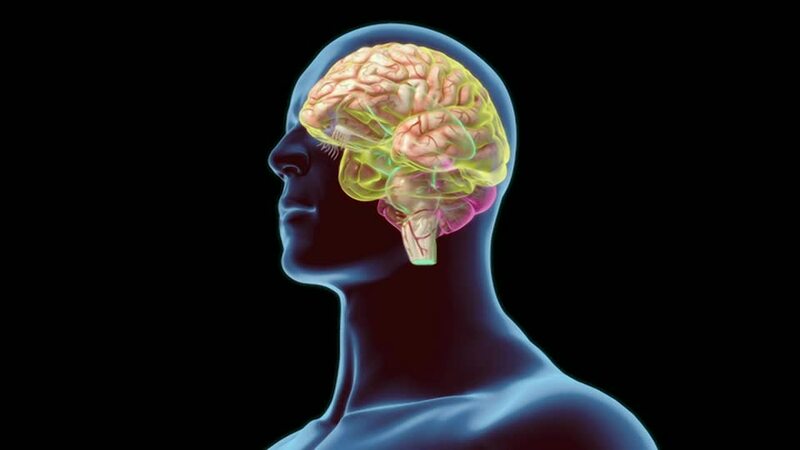 Increases clarity and focus by raising blood flow to the pre-frontal cortex, helping you to get in the zone. A negative mind will never lead to positive results. Try to pump yourself up with positive sayings and intentions. Riding with friends is the best case scenario. Ask them for encouragement and reinforcement. When everyone is hooting and hollering it can really get you in the zone! Vibe off the group’s positivity and confidence, you will be amazed what you can accomplish and the self-doubt you can overcome. When you feel stressed or start to doubt yourself change the relationship with your thinking. Stop listening and paying attention to the negative, it will only reinforce it. Say to yourself out loud or in your head any saying or quote that gives you encouragement and confidence. Even try researching some famous sayings or people you admire and write down some of the quotes (or commit them to memory). Whenever you need to get calm or relaxed, pull out your notepad and read them to settle yourself. If you can’t shake your fear and frustration is rising, sometimes the best thing to do is take your board off, walk away and try again later. If you aren’t getting the success you are looking for, take a big breath and try something different. Ride a run you know you can dominate or a trick you have done a thousand times to boost your confidence and eliminate self-doubt. If the feeling/mood still hasn’t shifted, head indoors for some food or a drink then try again. If you are still not feeling it, tomorrow is another day. Get distance to give yourself a fresh perspective. At the end of the day take some time to reflect on how you reacted to a certain situation. What was the experience like? Could I think straight? Was my body shaking? Did I feel tense or relaxed? Was I reluctant in my thinking? Could I move my body freely? Was my breathing panicked and shallow? Did I communicate clearly or was my voice apprehensive? How could I have reacted differently? Analyse what worked for you and what didn’t work for you. Is there anything you could have done better and should focus on improving? Carrying out an exercise like this will help to rationalise your fears, attack areas of improvement, and give confidence for the next time you encounter that situation. Taking a lesson can help tremendously with your fears and self-doubt. You can verbalise your fears and almost all instructors will have heard similar ones. They will have their own personal techniques to help overcome and manage them. Even just being with a professional can dramatically reduce the stress or anxiety around the task you are trying to complete. They can give instant feedback on your snowboarding and advice on how to manage your self-doubt. Fear doesn’t have to be a negative feeling. It can be switched into a positive reinforcement when you fully understand your capacity, know what can be achieved or not and most importantly trust your skills. When I get scared, I can usually find another gear and ride better. I get more focused and feel like my movements are laser precise. You can get in the zone instantly. 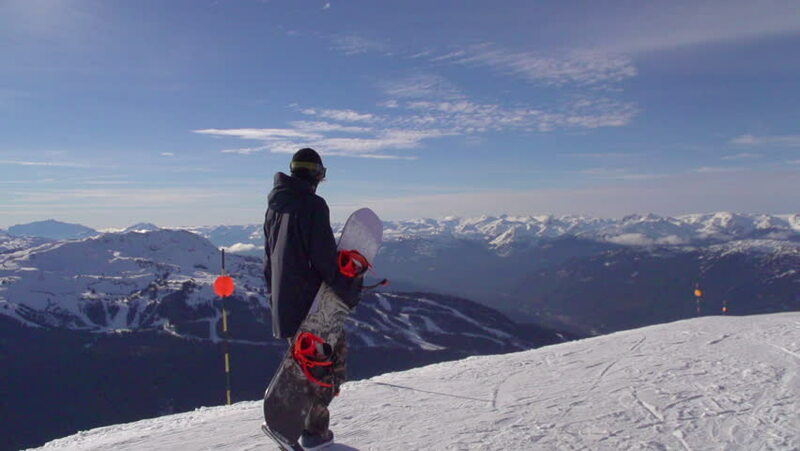 Overcoming your fears and self-doubts on a snowboard can help you excel in other areas of your life. Apply the same mindset that helped you conquer fears on the board to other areas that you want to succeed in. Remember you will never totally eliminate your fears, just become better at managing them and taking action. Smile and see what’s on the other side of your fear. It is my great pleasure to visit your website and to enjoy your excellent post here.